This blog has been quiet for the past couple weeks, as I’ve had less time than usual for writing due to moving and settling into a new house. I hope to be back to more regular posting here in the next week or so, with new posts on spiritual practice, Celtic virtues, and the question of rebuilding the cults of the old Gods. For today, since folks have been asking, I’m sharing details on happenings at the upcoming PantheaCon Pagan Convention in which I and my fellow Coru priests will be offering. Visitors are welcome to stop by and see us in the Coru hospitality room, #261, for any of our public happenings. We’ll have additional open hours as timing allows when you can drop in and say hello. Every three seconds someone in the U.S. needs blood. 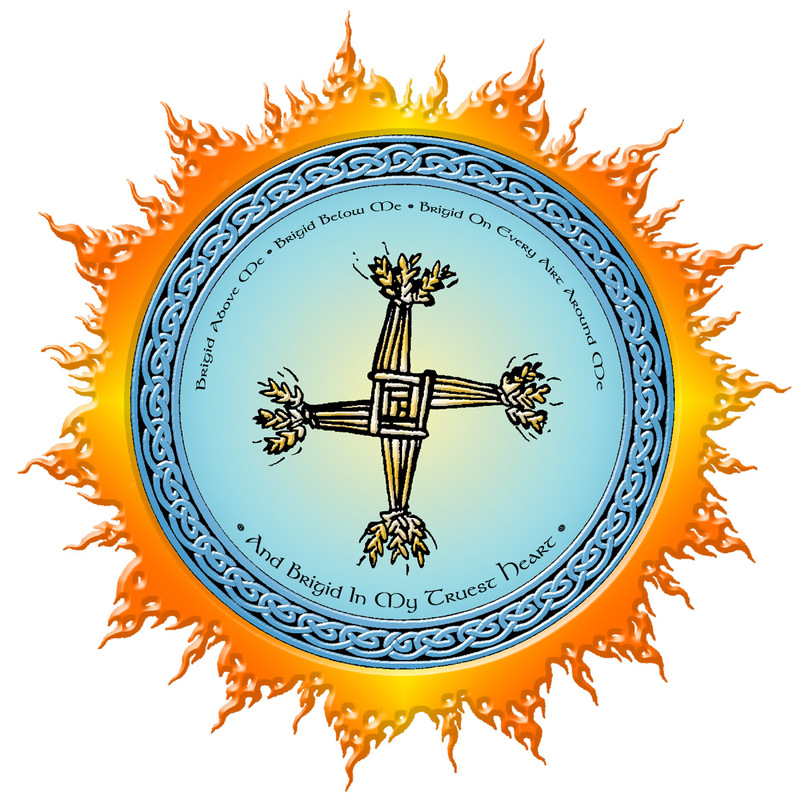 The Coru Priesthood and Solar Cross are hosting this blood drive as an act of kinship, hospitality and devotion to our community and to the Morrigan, Celtic Goddess of sovereignty, prophecy, and battle. We encourage all people to donate the gift of life, whether in the name of your own deities, the Morrigan or without devotional intent. Visit this page for details on how to register in advance, or drop by the Blood Drive info table in the hotel lobby. Donors will receive special ribbons, “I’m a Bloody Hero!” and/or “I gave my blood for the Morrigan”. Stone, spear, sword, cauldron. These four vessels of power appear earliest as the Four Treasures of the mighty Tuatha De Danaan: The Stone of Fal, the Spear of Lugh, the Sword of Nuada, and the Cauldron of the Dagda. We can trace their appearance throughout esoteric traditions in the Grail Hallows, the Tarot suits, and the sacred tools of witches and magicians. The Four Treasures form the core of Coru spiritual practice and carry the symbolism of our core values of Sovereignty, Warriorship, Service, and Kinship. Join us for this workshop and discussion on the powers of these vessels and how to integrate them into spiritual practice. She is called the Great Queen, the Phantom Queen, the Battle Raven: the Morrigan, Celtic Goddess of war, death, prophecy and Otherworld power. Who was She to the ancients, and what do history and literature tell us about Her role in ancient religious practice? Who is She to us today? Drawing on both history and personal experience, this workshop will give you the tools to begin connecting with the Morrigan, or to help you deepen your devotional practice. Grounding and centering are vital to effective magic–and living. When used to unify the body, mind, and spirit, it can help you achieve a more present, integrated, and balanced life. With specific exercises and information, this workshop will provide step-by-step instruction on applying grounding, centering, and mindfulness techniques to all areas of your life. Helping you to become fully aware, connected, and alive. The Morrigan, great Celtic Goddess of sovereignty and of battle, asks us: What do you love, that you will fight for? How will you find the strength to fight, to resist? 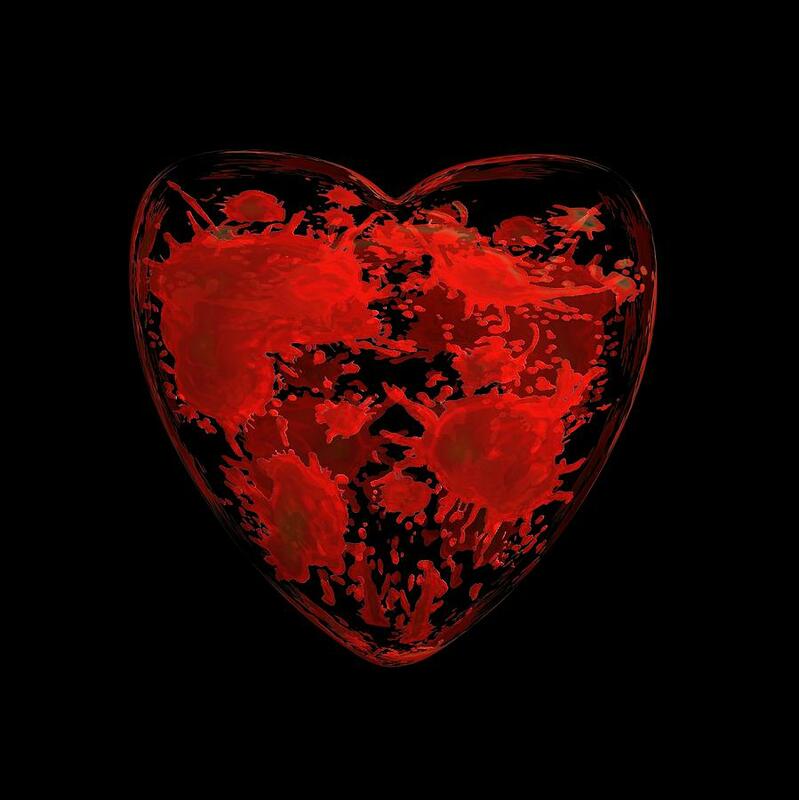 We take strength in kinship, in the heart’s blood that pulses through us all, joining us as one human family. We shall not be divided. Join us in this ritual as we invite the power of the Great Queen and our own resolve, to strengthen our hearts for the battles we face. Step forth and claim what you love. Take your place in the kinship of all. Doors close at start time. Join members of the Coru Cathubodua Priesthood for morning refreshments and conversation at our hospitality suite! Mimosas (champagne and non-alcoholic), coffee and fine teas, baked delectables, and inspiring conversation. Want to connect with members of our priesthood, and find out what we’re all about? Looking to meet and talk with other folks who are drawn to the Morrigan? Interested in Celtic heroic spirituality, and core values such as sovereignty, warriorship, service, and kinship? Want to find out how you can get involved in the Coru’s mission? Come introduce yourself and tell us your story! Many pagan traditions and groups, including the Coru, call themselves “warrior” traditions. What does this mean, and how does it relate to the world we live in? In a modern context, most of us are less concerned with our physical survival than we are with cultural survival; how does being a warrior inform the idea of cultural survival? This moderated panel discussion will explore these and other questions from the perspectives of several traditions that claim warrior heritage. What harm scars your soul? What pain holds you from full vitality and magic? Pain and trauma can be used to fuel a hot, healing fire. And the hottest fires create the best forges – a fact that Brigid, Goddess of healing and smithcraft, knows intimately. Join us in healing ritual and put yourself into her healing fire and under her hammer to be remade, reconstructed, and renewed. Transform your trauma into strength, opportunity, and revitalization. Doors will be closed 15 minutes after start time. I’m freshly returned from my first armored combat event and thinking about the nature of being a Spear. Some months ago when I undertook a new phase of dedication to the Morrigan, She said this to me: “You are my Spear.” This touched off a lot of thinking on my part as to what it means to be a Spear in Her hands. As is my habit with messages from my Gods, I turned to history and source text to try to understand. From Failias was brought the Lia Fail which is in Temair, and which used to utter a cry under every king that should take Ireland. From Goirias was brought the spear which Lug had : battle would never go against him who had it in hand. From Findias was brought the sword of Nuadu : no man would escape from it ; when it was drawn from its battle-scabbard, there was no resisting it. From Muirias was brought the cauldron of The Dagda ; no company would go from it unsatisfied. These, Stone, Spear, Sword, and Cauldron, are known as the Four Treasures of the Tuatha Dé Danaan, the old Gods of Ireland. I began to read everything I could find about them. What does it mean to be a Spear? That must tell me something of the work She wants of me. And if I am a Spear, surely there are other Spear-folk too. And Sword-folk, Cauldron-folk, Stone-folk. The Stone is the first mentioned, in almost every case where the Treasures are written about. It is the foundation of Sovereignty. Then, we come to the weapons; perhaps arising from the necessity of defending Sovereignty. First the Spear, then the Sword. And after, to feed the hungry company of the warriors, to restore them at the end of the day, comes the Cauldron. In a battle line (at least, from my beginner’s understanding of archaic Celtic weapon use), spears are first out to stop as many adversaries as possible before they come within sword-range. Light spears or javelins are cast through the air (as are arrows; small mechanically assisted spears). Long spears or pikes are thrust before the shield-lines to hold them at bay or impale them as they come. 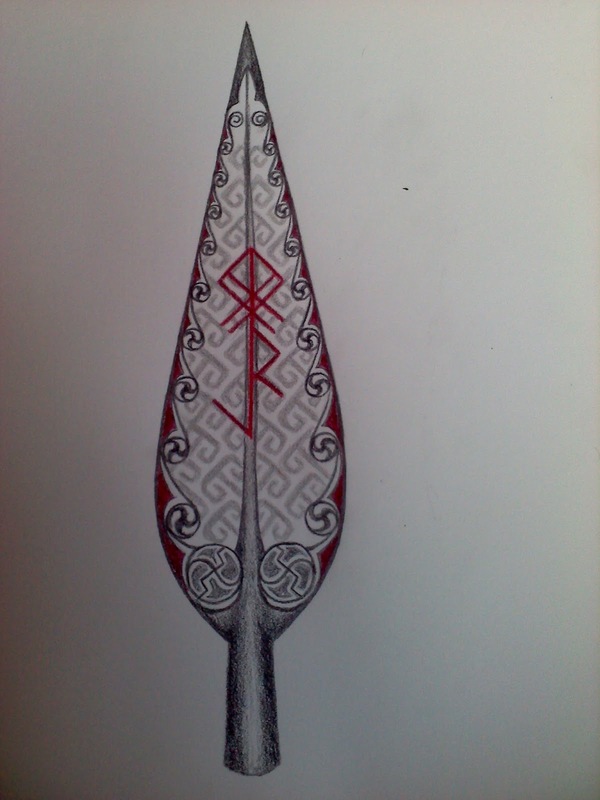 And the warrior’s first weapon in the fray might often have been the fighting spear. Thrust and cut with your long weapon first, until it sticks in someone’s ribs or too many enemies come in close range; then let go of it and draw your sword. In ancient times, the common fighter who was not an elite hero and did not possess the wealth of the aristocratic warrior class, might not carry a sword at all. Swords require far greater mastery of metalsmithing to manufacture, and far more expensive high-quality metal, than do spearheads; how many men could be armed with spears from the same metal that would go into the making of a single hero’s sword? For this reason, armies were once counted as the number of spears a leader commanded. A man might not be a trained warrior, but hand him a long spear and you can make a soldier of him; he will figure out how to thrust. It is a weapon of instinct. It won’t protect him much in a melee, but it weaponizes him. Spears are the expendable resource of an army. 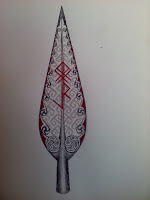 From these readings, and from noting the patterns common to myself and to other Spear folk I’ve connected with, I make an observation about Spears: Commitment. A spear once cast cannot be called back. Thus, to be a Spear is to be cast toward one’s destiny. Fully given and committed, risking all with fierce abandon. Or, as some of my friends have said of me recently; a zealot. I take that criticism as worthy. Caution seems not to be the way of the spear. We are beings of instinct tending to sense the moment and thrust ourselves forward, past the safety of shields, crying victory. We throw ourselves into the destiny we sense before us, in ways that sometimes seem reckless or mad to our friends. Perhaps we are. It is a way of risk. This all came back to me as I was riding home from the war event yesterday. I’m new to armored combat and had only just finished my armor the day I arrived at the war. Thus, I’d had no chance to practice my fighting skills with my teachers while in full armor before going in to the full fray. Little opportunity to even test my armor under another fighter’s blows before facing an army of them. I was, truthfully, not ready for war combat – and the marshal who authorized me knew it, and nearly didn’t. But I passed, and in spite of significant nerves about not knowing what to do out there, and being smashed to a pulp by hundreds of men three times my body weight, I threw myself into the combat. Trusting, I suppose, that the urging of my Goddess and the sense of destiny that drew me into the fighting arts were not leading me astray. And they didn’t: it was one of the most epic experiences of my life. Showing off my bloody fighting tunic. I was crushed in shield-walls and knocked to the ground. Hammered by swords, pike thrusts. Took a hard thrust to the faceplate of my helmet that split my chin so I bled all over my armor; paused to get it bandaged, then threw myself right back in. I was fighting with a glaive, a type of long-bladed fighting spear wielded with two hands, which meant I had no shield to protect me, and with my lack of experience, I’m not the best at blocking with the glaive, so I took a lot of hits. I’ve been told by many fighters I should be starting with sword and shield to save myself bruises… but you see, I’m a Spear, and it’s the spear that feels natural in my hands, it’s the spear I’m called to fight with. It’s the reason I’m there at all. So in I went without a shield, madly, gleefully, fiercely, not minding the pounding and the bruises and the blood. Reveling, glorying in them. Why? Because they were initiatory, overwhelming, ecstatic. Because I am a Spear, and I must immerse myself. Because I am a Spear, and I need the risk and immensity of being thrust wholly, body and soul, into my calling, holding nothing back, pouring myself out on the battlefield. Today I have some thoughts to share about destiny. This post has actually been brewing for some weeks before I found the time to write it down; if you’ve read my postings before, you’ve probably noticed that I’m a writer only after my other vocations, and sometimes the blog goes by the wayside while I’m busy chasing my destiny. So then, on the subject of destiny. From Failias was brought the Lia Fail, which is at Tara, and which used to cry out under each king who assumed the sovereignty of Ireland. will not be complete without doing. I really want to emphasize this, so I’ll say it again: There is something unique and meaningful that only you and no other being can give to this world. I don’t care who you are or how empty you may think you are of gifts; this is still true of you. Whatever that thing is, that is your destiny. It may be subtle; it may not be the kind of thing that is recorded in history books, but it is a destiny, and it is meaningful and it is yours. If you don’t, isn’t it perhaps time you should find out? Let me put that question another way. What have you got to do that is more urgent or more important than discovering your life’s purpose? If you can answer that, you may already know your destiny. If not, here are some things to contemplate. The Lia Fail, the Stone of Fal which was also called the Stone of Destiny, would cry out under the true king, who held the sovereignty of the land. Sovereignty is the holding of power by virtue of right relationship to its source; in the case of an Irish king, the land itself. So ask yourself: In what place does the rightness and truth of your action cause such power to flow through you that your soul cries out? Have you felt that? That was the cry of destiny. If you have never felt that, if till now you have only heard the silence of the stone, it may be time to seek new experiences, try out new ways of serving the world until the cry comes. Drew Jacob, in his Rogue Priest blog (which I highly recommend), talks of the heroic path, and his first piece of advice for those who have not discovered their heroic purpose is to travel. If travel seems out of reach because of cost, and it may indeed be for many of us, there is still nothing stopping you from going out of your established routines and experiencing something new. I would add that service is more likely to open us to destiny than pleasure. We find our purpose, paradoxically, by going outside of ourselves. The next thing I want to make clear is that destiny is not fate. It isn’t predetermined. It’s what you’re meant for, but you can fail to fulfill it, or you can choose to ignore it and do something else with your time and life energy. We are all endowed with will, and if we’re diligent at liberating ourselves from social and media manipulation, we can even aspire to possess free will (or even better, be possessed by it). I do not believe in fate, at least not in the fixed sense. So – your destiny is not predetermined: It is yours, but it will not just happen to you. That is one way that we differ from the people in story. We must court destiny like a lover, or a muse; chase it like a quarry; most of all, serve it. This is work. Nothing is born without labor, and this thing you have within you may take a life’s labor to bring forth. This may be why so many of us prefer the aimless comfort of the consumer life to the purposeful striving of the destined life. It is hard, and it’s scary, too. Dedicating yourself to fulfilling your destiny means sacrificing some things you might otherwise put more of your life energy into, things that are easier and more comfortable. Things that are more predictable. Most frightening of all, there is no guarantee of success. You might spend years serving this destiny, only to see it partially born; it may not come to fruition or be recognized for its value until after your death. It is up to you, and the allies and resources you can muster, to fulfill your purpose and give to the world what you have to give. And to do so we have to struggle against not only our own fears of failure (or fears of success), but against very great and subtle forces in our civilization that derive enormous profit from an aimless population accustomed to thinking themselves small, and content to fill their longing for meaning with stuff. For all these reasons, it may be easier not to know your purpose. And as I said, you do have that option. You can turn your face away from destiny. But I will venture to say that it will haunt you until you step into it. police state. I have a persistent sense that these are signs of harder times to come soon, that our lives will get tougher for a while before they get better. And my Gods, most especially the Morrigan whom I serve most closely, have been haunting me too, with a message that I need to be doing anything I can to help prepare our people for difficult and transformative times. That we, the spiritual-minded and magickal folk, have something needful to offer the world in these crises, but that we are not ready, and that unless we can get prepared to ride the tides of change, we can’t hope to help the rest of the world through it. What man actually needs is not a tensionless state but rather the striving and struggling for a worthwhile goal, a freely chosen task. What he needs is not the discharge of tension at any cost but the call of a potential meaning waiting to be fulfilled by him. Man’s Search for Meaning, 1946. In other words, the human being who knows her purpose, who knows she has a destiny to fulfill, carries that meaning within her like a talisman, and through that can find the strength to survive anything. She can bear almost any conditions. She has heard the cry of the Stone of Destiny, and so the strength of the stone is hers, the grounding force of sovereignty. My friends, this is how heroes are made. How kings and queens are made. This simple thing: the knowledge of one’s destiny, and a commitment to it. That is all it takes. Don’t worry if you aren’t ready. No one ever is. The cry of the stone will carry you, and you’ll find a way.